Large plate in the Forest Glen pattern and Biaritz shape. Size 10.5 by 8 inches. Has had some restoration to the side (but done very well). 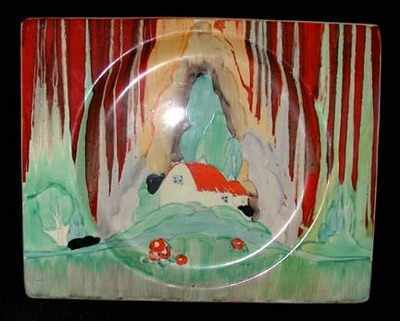 Signed "Bizarre by Clarice Cliff". Price £495.